McLeod County (pop. 36,651), just west of Carver County, has more than 50 lakes – the largest of which is Cedar Lake, in the northwestern corner. The county seat is Glencoe (pop. 5,631), which apparently got its name from its resemblance to Glen Cloe in the highlands of Scotland. 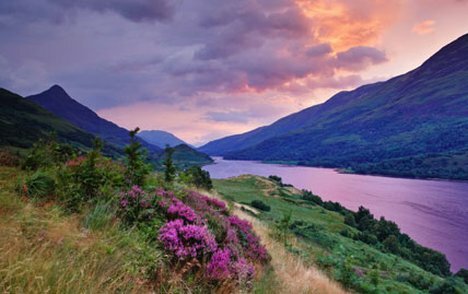 Is it Minnesota, or is it Scotland? 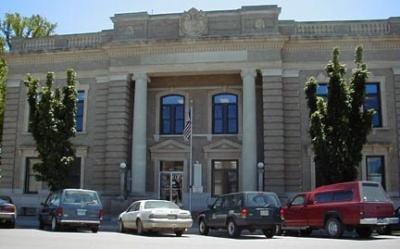 The McLeod County Courthouse was built in 1909. Hutchinson (pop. 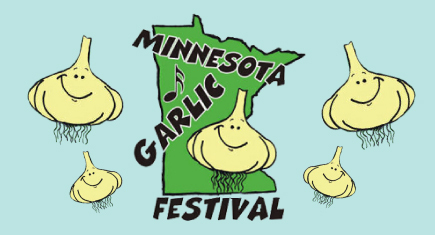 14,178), the largest city in McLeod County, hosts the Minnesota Garlic Festival every August at the county fairgrounds. China and India grow much more garlic than the U.S.
Southern Minnesota’s Dakota War of 1862 is recognized by a statue of Dakota Chief Little Crow in Hutchinson. The McLeod County town of Plato has a population of 320. This entry was posted in Minnesota and tagged Cedar Lake, Glencoe, God's Country, Hutchinson, McLeod County, Minnesota Garlic Festival, Plato. My great grandmother told my grandmother that when the family moved from Massachusetts to southern Minnesota in the 1850s the Indian women would come to the cabin window to watch the women cook.